Are they beans? Are they dogs? They’re a hybrid of both… and they’re 100% wacky! 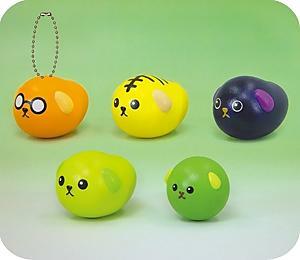 They’re Mameshiba (mame = bean; shiba = dog breed), colorful little characters too cute to throw into a bowl of chili. Japan’s premier advertising company, Dentsu, is the brain behind them, promoting these adorable rugrats through animated TV spots across the country. We all know that cuteness is the ruler of Japan, so it’s not surprising to hear that Mameshiba made over $30 million in licensed goods back in 2008. Even in the U.S., there’s a steady fan-base for oddball character goods like Afro-ken, Domo Kun and of course, Ugly Dolls! And personality goes a long way in charming their way into cute girls’ bedrooms. ‘Edamame’ is full of curiosity and travels the world in his furry, green pod. ‘Soy Bean’ is a worrywart who likes giving unsolicited advice. ‘Jelly Beans’ are a band of brothers from the USA. They don’t speak Japanese very well. Oddball characters, indeed. 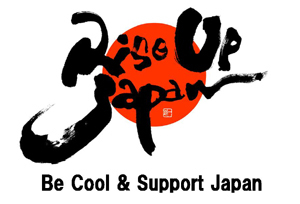 You can buy Mameshiba goods online for anywhere between $5 and $30. Or you can just oggle them on You Tube. That’s what I plan to do. Dog-beans… Who woulda thought?! 7-Eleven has gotten so much cooler in my book. For a limited time, they’re offering a product line of cups, straws, comic books, plushies and T-shirts for a funny-looking Japanese monster called Domo-kun. Most Japanese people would agree that seeing Domo-kun in the U.S. is really strange cause he’s a mascot character of NHK, the PBS of TV stations in Japan (keywords: conservative, wholesome, family-fun time). First appearing in station-identification spots in 1998, Domo-kun went on to star in his own animated show for children. He’s fairly popular among people in diapers, but hardly the hipster sensation he’s become in the U.S. If you wore a Domo-kun beanie in Japan, people would question your affection for children. 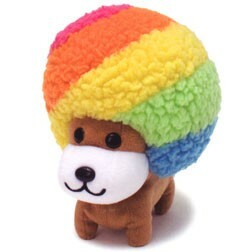 Wearing Domo-kun would be like a Japanese guy wearing a purple Barney beanie. Thanks to You Tube and other viral sites, a groundswell of enthusiasm has developed in the U.S. for the alien creature hatched from an egg, and enough to rise above the radar. Last Halloween, Domo-kun merchandise surfaced at Target stores. Not sure how it did, but considering he’s not back on shelves this year, maybe not well. Now this year, Big Tent Entertainment, Domo’s licensing company has struck a deal with 7-Eleven for a six-week campaign. My favorite merchandise is their cups, one which has the cuddly monster getting a brain-freeze cause he just had a big Slurpee. The original goods are pretty well thought out; much nicer than what was selling at Target. A friend came to visit this week from Japan, so I took her to 7-Eleven to check out the stuff. She left with an armful of cups and spoon-straws to give to friends back home. Who knows, maybe this will start a reverse trend?